I don’t know about you, but its baseball season here in the Carpenter house. My oldest is 7 and he loves spring because it means baseball practice and games. For me, it means stress and more driving than I’d like to do! I cant deny that I love the sound of a metal bat hitting a ball and seeing the excitement in my sons eyes as he makes it to a base. However, with practice twice a week, its makes it difficult for family dinners, which I hold above anything else. Including my sons love for baseball. I don’t use my crock pot near as much as I should, so this season I told myself that I would be better at having dinner ready so that we could get home from practice and still have time to eat a meal as a family. 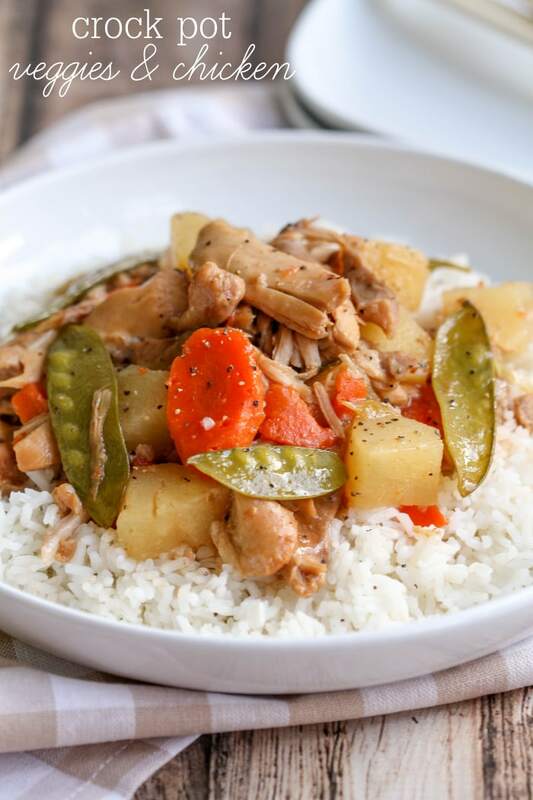 Crock Pot Veggies and Chicken recipe which is a new family favorite. 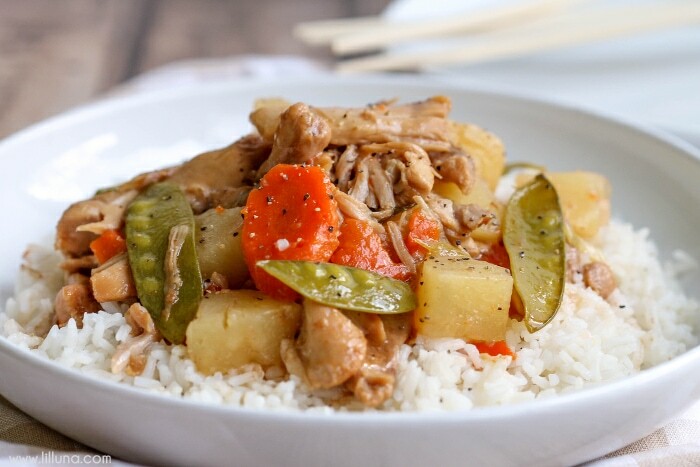 It's so simple and filled with your favorite veggies, pineapple and chicken! 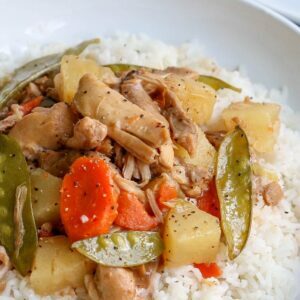 Mix chicken pieces and soy sauce together in a 4-quart crock pot. Stir in carrots and reserved pineapple juice, until well combined. Cover; cook on low setting for 4 to 5 hours. In the meantime, mix together ½ cup sweet-and-sour sauce, cornstarch, and ginger root in a small bowl. Stir into chicken mixture. Gently add in your pea pods, and pineapple chunks. Increase to high heat; cover and cook an additional 20-25 minutes or until pea pods are crisp-tender. 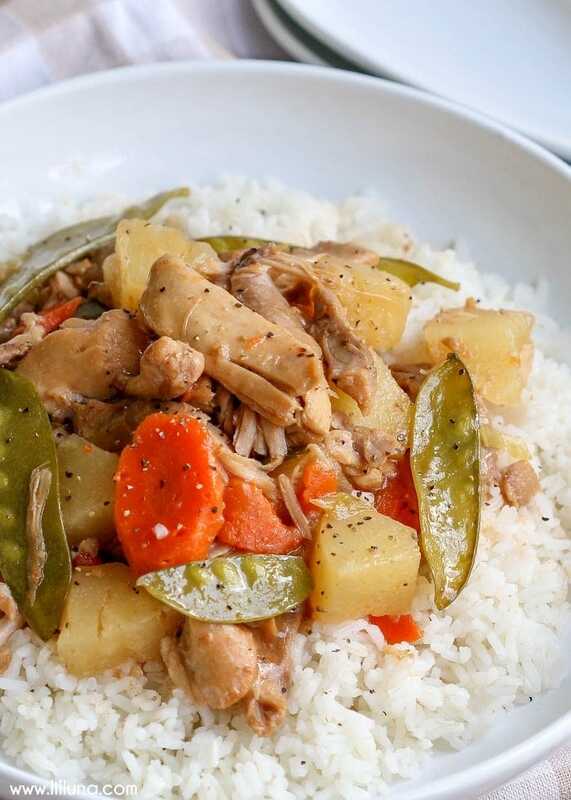 Serve chicken over cooked rice (keep in mind that long grain rice takes at least 30 minutes to cook, so prepare accordingly). Can’t wait to have this again! !